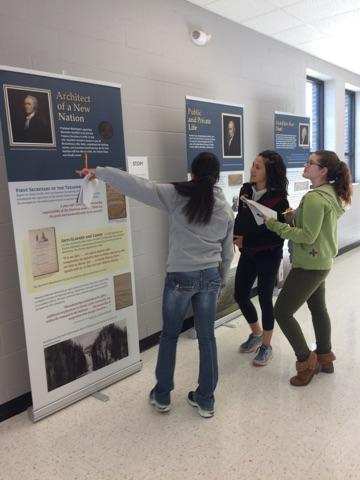 Mrs. Kliethermes applied for the opportunity for Schuyler High School to be the first in the country to receive the new exhibition titled, Alexander Hamilton: Immigrant, Patriot, Visionary. Using primarily reproductions from the Gilder Lehrman Institute’s renowned collections, and drawing on recent scholarship about Alexander Hamilton, this traveling exhibition will examine Hamilton’s role during the Revolutionary War and Founding period (1774-1804) in creating the economic, constitutional, social, journalistic, political, and foreign policy templates for modern America. It will acquaint visitors with a statesman and visionary whose life inspired discussion and controversy and shaped the America we live in two hundred years after his death.